Travel to Zamboanga, immerse yourself with it’s attractions, visit Zamboanga’s Famous waterfalls, have a selfie at Campo muslim of Sta.lucia in Pagadian City, see Jardin Maria Clara Lobregat Butterfly Sanctuary, Conquer Mount Binalabag, the highest peak in southwestern Mindanao, or relax at Bolong Beach. If that’s not enough to quench your thirst, Explore Zamboanga City, known for its Hispanic influenced culture, the city bears the nickname “Asia’s Latin City.” Learn Chavacano, the only Spanish-based creole in Asia and re-trace the Philippines-Spanish history. 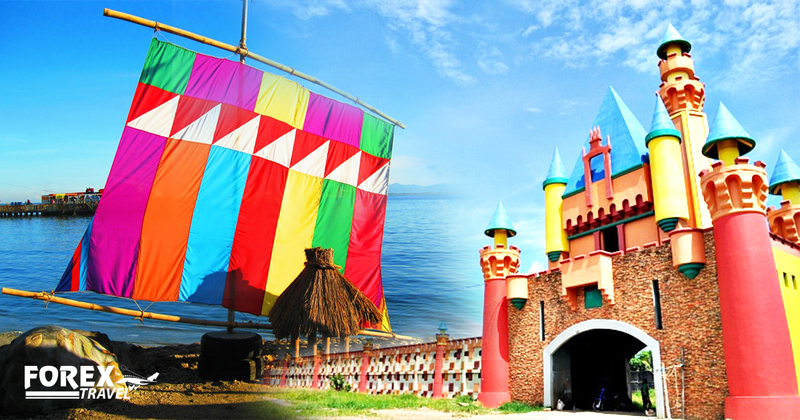 Zamboanga offers alot more, so why not come visit and experience Zamboanga. Book now at Forex Travel! Cebu Pacific and Philippine Airlines offers daily trips to Zamboanga.